Description Cautin river was one of many unsurmountable borders between Spaniards and mapuche. 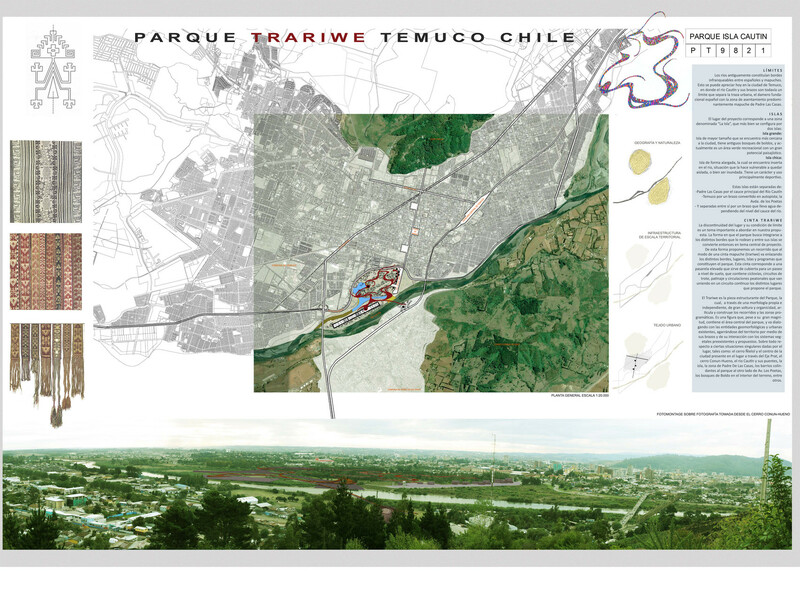 Today, the town of Temuco, where mapuche presence is strong, wants to make this area into a public park for entertainment, sport and cultural activities. 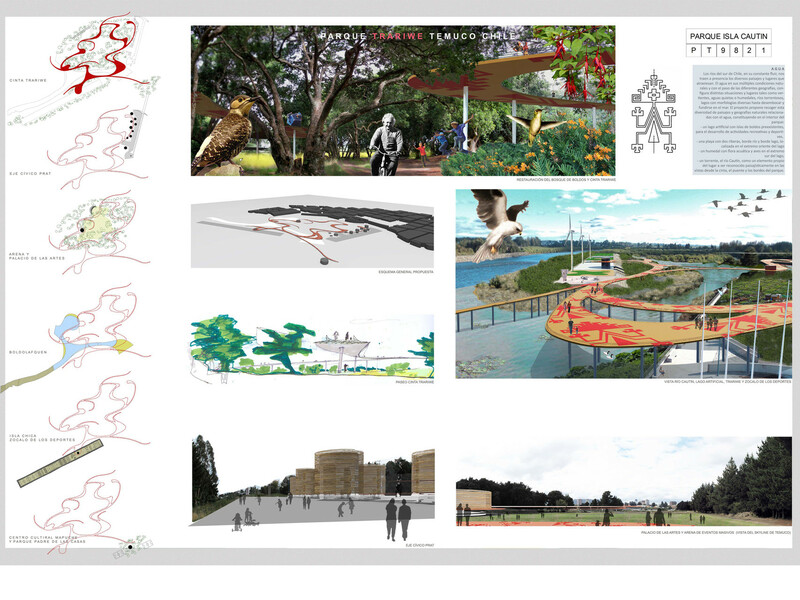 An elevated boardwalk holds the different sectors (the “sport raft”, the civic walkway, and the art pavilion) and the different kinds of landscape (the native forest, the humid areas, and the river garden) together designed to resemble the trariwe, a traditional mapuche belt. 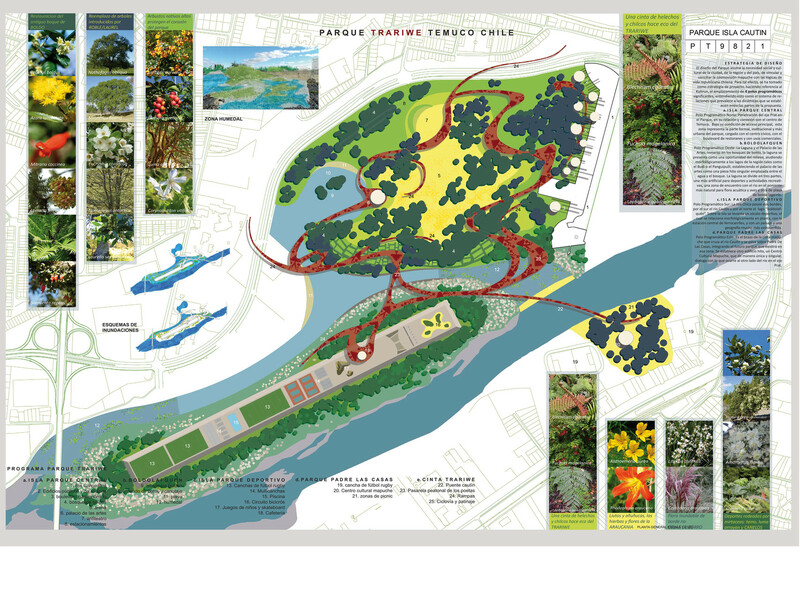 This infrastructure is a cycling-walking lane, a skating track, panoramic square but also a roof for the underlying path.